Do you love nature? 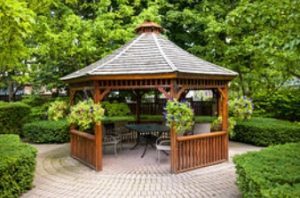 If so, you can surround your home with a beautiful garden design. Drawing up the perfect garden design is a challenge for anyone. 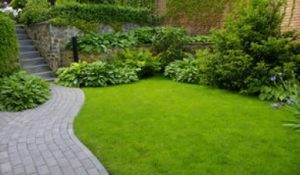 Many factors need to be considered when designing your own garden such as drainage, maintenance and practicality. However, designing your own garden does not need to be a daunting task. With a few basic tools, you can draw up a garden plan. By drawing a design of your garden on paper, you can determine whether your garden design is feasible within the space you have available. It also provides you with a clear visual image of the garden you want to create. Detailed design plans also prevent costly mistakes regarding buying of materials and plants. 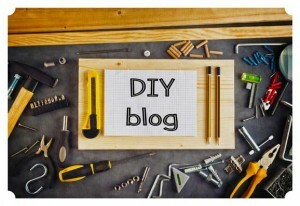 This step by step garden design guide will make designing your own garden an easy task. Not only do you have simple tools such as paper and pencil to get you started, there is also a variety of software tools available on the internet. Both types of tools are excellent at helping you bring everything together into something beautiful, useful, and productive. We believe both tools should be used. Paper and pencil can be used to record your current garden measurements, and to sketch your ideal layout. Computer software can be used for your final design plans. Garden computer software is very useful as it can be edited easily and drawn to scale. Below is a garden design plan using a software program called Garden Planner. This is an excellent program due to its simplicity. It allows the user to quickly create a scaled drawing, using a variety of garden features. Having accurate measurements is very useful, as the designer can calculate the amount of materials needed for the project. Before creating a scaled plan of your garden, you first need to take real measurements. You will need paper, pencil and tape measure. Then you need to measure the outskirts of your garden. This is done with a drawing that can be as rough or precise as you wish, although the more precise you are the better the results. 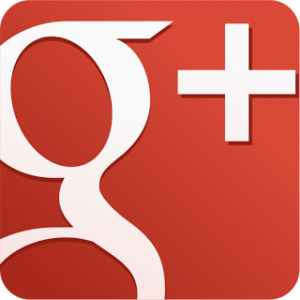 The outskirts of your garden design could also mean a small portion of your yard you want to redesign. Either way, you are creating what could be seen as a canvas of your garden design. Now create another drawing of your plan, but draw it to scale. For example, 1cm could equal 1 meter. A scaled drawing can be done manually using a pencil, ruler and paper. If you are good with computers then this is probably the best option. Garden designs using computers allow you to easily edit and save your designs. They are many ways in which you can draw your garden design on a computer. 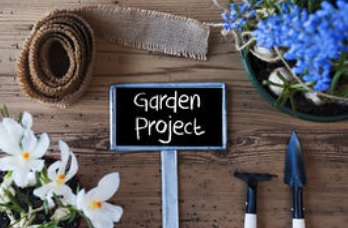 You could either use programs like Microsoft word, paintbrush or programs dedicated to garden design. 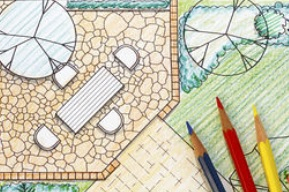 You can annotate your garden design with dimensions. This is handy for calculating the amount of materials needed such as paving slabs and gravel. When it comes to designing your own garden, most people know what they want. However, what they have available to them and what they want to create does not often match. For example, you may want a huge pond, but only have a small garden. It is important to make use of the space you have and be realistic about what you can achieve. If you already have a nice garden feature such as a vegetable patch, you may want to keep this in your new garden design. Modern garden design: This theme could have stainless steel features and expensive paving such as slate or natural sandstone. Overall, this look would look minimalist and clean cut. Traditional garden design: This type of theme would probably have no specific features that stand out. Would look like the average garden with plant borders and a couple of trees. Traditional looking gardens usually have many flowerbeds and wooden features. Very old properties may require a worn look such as old brick road type paving. Creative garden design: This type of design may make use of existing structural features within the garden. For example, an old shed could be turned into a bar or kids play house. Alternatively, there could be an old pond, which could be transformed into a beautiful sitting area. 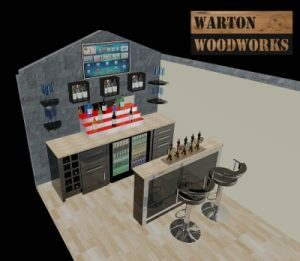 Below are images of an old garage (at the end of a garden) being converted into a garden bar. Click here to view the whole garden bar project, start to finish. Think about how your garden design will be maintained. 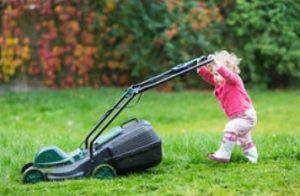 Most people want a low maintenance garden due to heavy work schedules. Usually this means a garden will be minimalist, consisting of a few plants and trees. Design your garden so weeds are suppressed with membrane sheets. Weeds can easily get out of control if your garden is not carefully designed. Think about how plants and trees will be accessed for maintenance. Have as many trees and plants you are willing to trim and water. Also, consider the amount of leaves each tree will shed in the winter months. Ensure paving or decking installation will be able to suppress weeds. There is nothing more annoying than weeds growing through patios or decking. Ensure the most appropriate paving slabs are chosen for the correct purpose. Paving stones can have different properties such as roughness, which are suitable for certain applications. Make sure flowers are placed in correct soil types. Research the type of flowers you have, and their particular sun and shade requirements. Most plants will have labels on them to tell you this information. If you want a sitting area in your garden make sure it is placed in the appropriate amount of light. 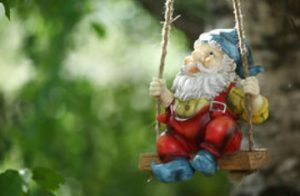 Once you have decided on your garden theme, you can now think about what features you want. Sometimes you can modify your existing garden features into something beautiful, useful and exciting. For example, you might want to renovate an old pond using exciting plants and water features. Features can help your design look great and unique However, garden features do deserve careful attention. Electrical features such as water pumps and lighting can be dangerous due to the routing of cables. Be careful not to pierce them with your garden tools! When designing a garden it is important to consider drainage. The drainage solution you choose may have an impact on your design such as using ACO drains, soakaways and under lawn drainage. Is there enough drainage in your garden? A sloppy garden can be unusable. 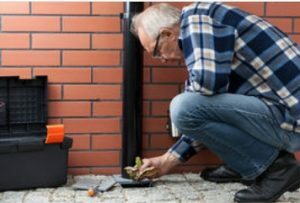 Good drainage around your home can help preserve your house foundations, and reduce damp build up. Water logged lawns can be solved by installed soakaways, perforated pipes or planting trees to soak up the water. Before creating a scaled plan of your garden, you first need to take real measurements. Draw a rough plan of your garden using a pencil and paper. Then write down all the appropriate dimensions. Now create another drawing of your plan, but draw it to scale. For example, 1cm could equal 1 meter. A scaled drawing can be done manually using a pencil, ruler and paper. If you are good with computers then this is probably the best option. Garden designs using computers allow you to easily edit and save your designs. They are many ways in which you can draw your garden design on a computer. You could either use programs like Microsoft word, paintbrush or free internet based programs dedicated to garden design. If you are serious about garden design, there are also software packages available to buy. You can annotate your garden design with dimensions using. This is handy for calculating the amount of materials needed such as paving slabs and gravel. 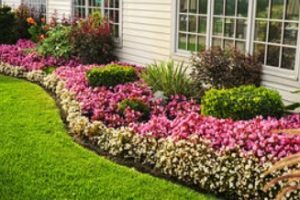 How easy is it to maintain my garden? Does the garden theme flow throughout? Is drainage be an issue? 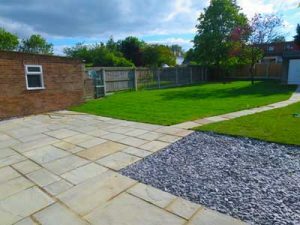 Can I afford my garden design? Is the garden practical for parties? Is garden seating area good? Do you have enough room for a BBQ? 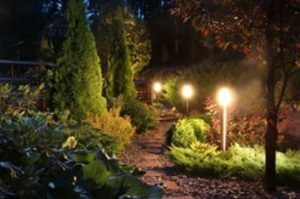 Does my garden require lighting? Do I have the correct type of plants and trees? Will tree roots cause a problem? 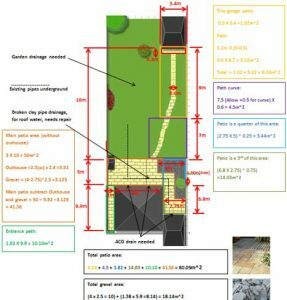 Once you have drawn up your plans using this step by step garden design guide, double check everything to ensure there are no mistakes. Print your new garden design. Double check your garden design dimensions. Double check that your features are in the correct place. A comprehensive garden plan also serves as an excellent shopping list for your garden. 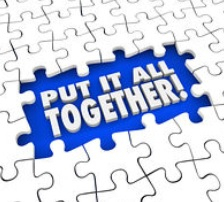 With your plan in hand, you can determine exactly what you will need. Without a plan to make something concrete out of your thoughts and ideas, you will probably end up drifting and be dissatisfied with your results. Now that you have read this step by step garden design guide, you can now design the garden of your dreams.